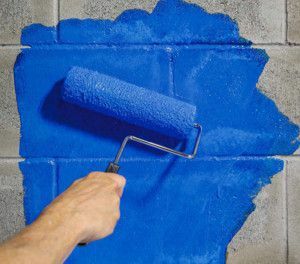 There are somethings that you don't want to "skimp" on, and waterproof coatings are one of them! If you have troubles with consistent water issues in the basement or leaks from a flat roof or seam, then you need to seriously consider Ames Research products. These products are easy-to-apply for any homeowner to use. You can even coat over prior coatings that may be cracking or peeling. The unrivaled elastomeric coverage of these products waterproofs and protects better than anything else on the market, making Ames Research products the most trusted coatings you can buy! Common uses of Ames Research elastomeric coatings include, rusty metal roof, leaking rubber roof, repairing old tin roofs or gutters, below-grade walls in the basement that suffer from water damage, dry and damaged deck surfaces, and more. Stop by our Paint Department to find out which product is best for you waterproofing needs.